For more great ideas on “going green,” visit The Green Guide. A great organization which is working to protect ecologically important lands and waters around the world is the Nature Conservancy. The National Audubon Society’s mission is to conserve and restore natural ecosystems, focusing on birds, other wildlife, and their habitats for the benefit of humanity and the earths biological diversity. A great organization dedicated to butterflies is The Lepidopterists’ Society. Butterflies of America is a web-base interactive list of all species, subspecies and distinctive undescribed segragates known to the authors to occur on the North American continent, from Alaska through Panama, Hawaii and Caribbean islands. Another great resource is Butterflies and Moths of North America. They have a great search engine and really nice range maps and great treatments pages for all North American species. The Xerces Society for Invertebrate Conservation is a nonprofit organization that protects wildlife through the conservation of invertebrates and their habitat. Established in 1971, the Society is at the forefront of invertebrate protection worldwide, harnessing the knowledge of scientists and the enthusiasm of citizens to implement conservation programs. A wonderful website that is packed with tons of great information and tutorials about all aspects of raising butterflies is Raising Butterflies. Their website is an encyclopedia of knowledge designed both to help beginners understand the basics and to encourage seasoned veterans to collaborate the specifics of raising butterflies from Western North America and beyond. A great butterfly educational website is Learn About Butterflies. It’s packed with stunning photography and information about many species from around the world. From our home state of Oklahoma a great butterfly group administered under the Tulsa Audubon Society can be found here. From there you can proceed to the Okleps Yahoo Discussion Group or click here to go there directly. Also, if you track county records within Oklahoma, John Nelson and John Fisher track this in a great spreadsheet here. One of the best suppliers of native plants, for both nectar and butterfly larvae, for the state of Oklahoma is Marilyn Stewart. Her website is Wild Things Nursery. A great supplier of entomological supplies including nets, spreading boards, pins, etc. Is BioQuip. The Kaufman Field Guide to Butterflies of North America is easy-to-use and fits right in your pack. It includes all species of butterflies found north of the Mexico border right up through the Arctic Circle. Most southern Mexican/Caribbean rarities are also included. Each species treatment includes digitally manipulated images of male, female, dorsal, and ventral views including seasonal or subspecies variations, a range map and information on flight period, number of broods, larval food sources, scientific and common name and more. Bryan treats this as his wish-list for U.S. species he wants on film and puts a red X next to each species he’s photographed. 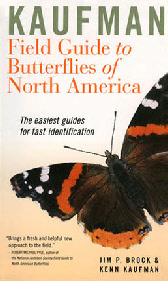 As far as we are concerned, this is the best identification guide for North American butterflies. Order it here. 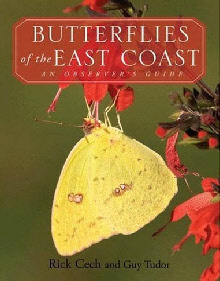 Butterflies of the East Coast: An Observer’s Guide is a great book loaded with great in-nature pictures of all of the butterflies found from Florida to Maine. Each species account is loaded with current scientific information and includes identification, habitat, hostplants, occurrence and ecology. Order it here. 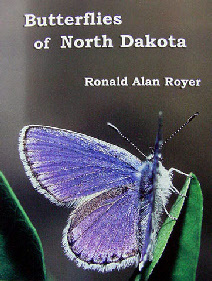 Butterflies of North Dakota is an updated second edition book that covers all the state’s butterflies. Each of the state’s 148 recorded species is given a separate page, complete with multiple color images of North Dakota phenotypes plus text entries on identification, larval hosts, flight times, life history references, geographic distribution and map showing each county of occurrence. Has introductory sections on the family to which the included species belong plus living examples within their habitats. Order it here. Butterfly is a visual treat. From a butterfly’s first struggle to free itself from the chrysalis and take flight, to the life-and-death dramas of courtship, reproduction, protection and defense, Thomas Marent’s outstanding photography is a celebration of these remarkable creatures and a extraordinary portrait of some of the 165,000 species spread over almost every region of the world. Accompanying more than 500 photographs of butterflies and moths, Thomas shares his personal experiences of studying these insects in their natural habitats, resulting in a book that will open your eyes to the wonders of life on the wing. Order it here. 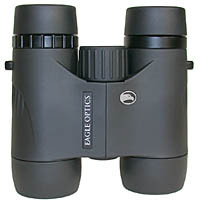 A great pair of 8X32 butterfly binoculars can be found at Eagle Optics. Caterpillars of Eastern North America is a wonderful reference for identifying most of the caterpillars of Eastern North America. It’s loaded with tack-sharp photos and information including recognition, occurrence, common foodplants, and remarks. 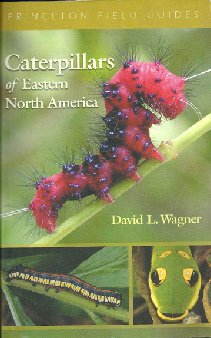 If you’re serious about caterpillars, this book needs to be in your home library.